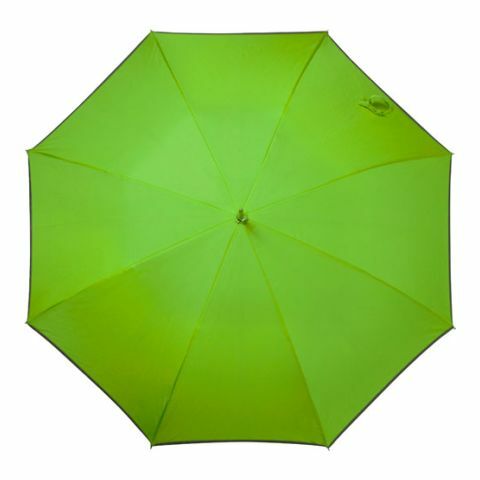 Umbrellas are promotional products which are not target group specific. They can be used in every season and be a functional companion for protection against rain, wind and sun by all. At the same time, printed umbrellas work as a great advertising space, which you can use for your benefit. Chosen in your company colours, you will not only have an eye-catching product among the dominating black umbrellas that everyone else carries but also increase the brand recognition effect in the environment of the owner. As potential customers see your logo proudly displayed on the umbrellas owned by family, friends, work colleagues and strangers, they will be more aware of your brand and primed to take action as a result. Personalised umbrellas can be extremely durable and bring you results months after your initial purchase. Business owners and marketers are encouraged to focus on quality, usability and durability in order to get maximum effect. 50 quality umbrellas could have 10x the effect as 300 cheaper, lower quality alternatives when they are finished with an excellent print and an organised distribution plan is in place. 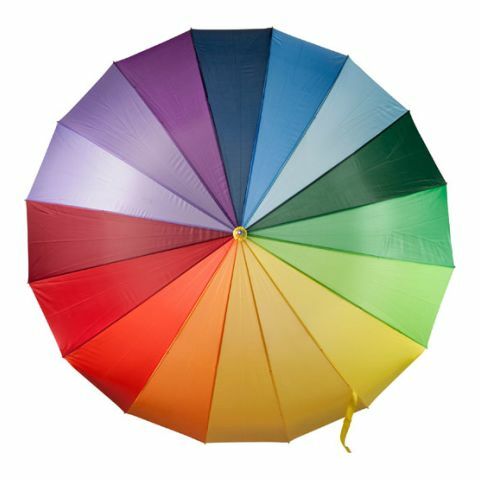 A promotional brolly offers you many ways to tailor the product to your brand and message. Fro obvious things such as printing your logo on the panels right up to choice of material. You can even choose what style of handle you want depending on your goals! For example, a sophisticated cane umbrella would be the perfect gift for business associates that you are trying to connect with. Umbrellas are protecting us in every weather situation from sun, rain and wind. In Britain alone, where the weather can be unpredictable and often times rainy, umbrellas are a necessity to have. Many companies already discovered the handy use of umbrellas, which is why they are often times part of creative marketing and communication campaigns. The possibilities to use these, as promotional products, are many: as giveaways for customer acquisitions at a trade show, as premium gifts for loyal customers or as a gift for co-workers or employees. In the allbranded online shop, promotional experts can find a large range of the popular daily helpers. 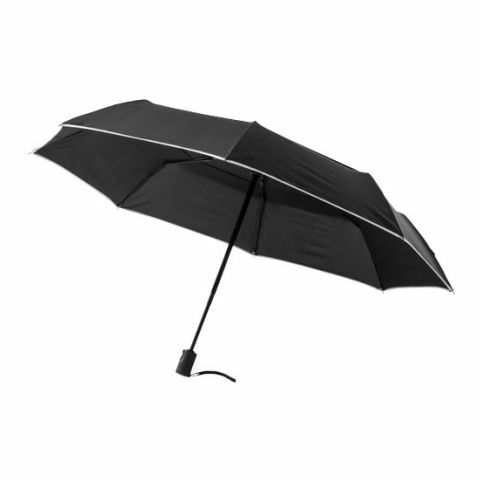 For customers, co-workers and business partners, we also carry premium pocket umbrellas and unique cane umbrellas. Thanks to their large advertising space, they offer enough space for eye-catching company logos, which makes them an ideal promotional product. Did you know, that umbrellas have been used as accessories thousand of years ago? Findings of similar statue haven been found in the orient 3000 BC, which were mostly used to fan air towards the wealthy or create a little bit shade for them. The umbrellas have made their way over Persia to the Mediterranean area, like Greece and Rome. Decorated with silk, ivory, gemstones and gold, even here the umbrella was known as a symbol of power of the wealthy class. In the 17th century, the umbrella started its conquest in Europe. The first pocket umbrella was invented in France. In two hundred years, the umbrella spread across all classes and was mostly used to protect against rain rather than sunshine. Nowadays, there are many versions in various sizes, materials and colours. Warning, rain! In the UK there are regions, which receive as much as 4577 ml of rain annually. People in Manchester and London should never leave the house without an umbrella, as the chance of rain is always there. When buying an umbrella there are several things to consider to keep your feet dry. In order to not stand in the rain, the waterproof aspect is the most important part. Opening and closing the umbrella should also not pose any problems. The corporate umbrella should also be sturdy and withstand greater winds, as well as be easy to handle. The promotional umbrellas from allbranded are the right choice. With these promotional products, your customers and co-workers will survive every weather. With the promotional corporate umbrellas from allbranded you will not leave customers standing in the rain. Give away small foldable umbrellas with a telescopic rod. Our promotional umbrellas fit in almost every purse. Our golf umbrellas and our durable storm umbrellas will protect your canopy from wind and rain. Very popular are our cane umbrellas with a rounded handle, which will not only keep away the bad weather, but also make you shine with their premium quality. For children, the best umbrellas are colourful umbrellas with funny motives. 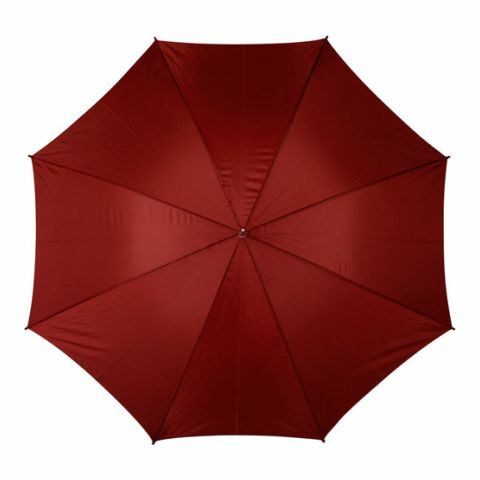 As multifunctional everyday items, umbrellas are very popular among all kinds of people. Use the high popularity and impress your target group with personalised promotional umbrellas. Promotional umbrellas are also perfect as promotional products, due to their advertising space, which you can print your logo on, as big as you want. The logo print can be flexible on either all of the sides of the personalised umbrella or on only one, depending on your preference. Another benefit of umbrellas: The little helpers are often times being given in emergency situations to friends, acquaintances and many other people which will make your advertisements reach all possible target groups. The team from allbranded will gladly advice you on which umbrella to choose and which method to use to personalise it.